As we descend on the busiest week of the year at Walt Disney World (the week between Christmas and New Years) we often think of park crowds and how we can best navigate around them, especially on Christmas Day. Let me help you out here…Simply put, it’s going to be busy and crowded. I’m not going to sugarcoat it. However, keep your chin up! 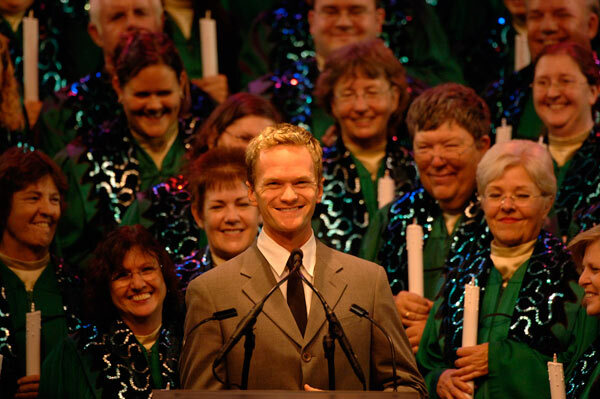 There are some things you can do to have a wonderful Christmas Day at Walt Disney World. It all starts with picking the right park to visit. Continue through the page break and let’s examine the best park to visit on December 25th. Most Disney World visitors often think Christmas and the Magic Kingdom go together like peas and carrots, especially those guests who are not regular visitors to the vacation mecca. You can expect the Magic Kingdom to close to park capacity on Christmas Day. Guests looking to get into the Christmas spirit on Christmas Day want that warm feeling of being inside the Magic Kingdom. The feeling you get standing, walking, or sitting around Main St. USA exudes that Christmas spirit and setting. It’s one of the perfect places to be during the most popular holiday of the year. For that reason it’s why the Magic Kingdom will be the busiest park on Christmas Day. If you decide to brave the crowds this year the Magic Kingdom has morning Extra Magic Hours on the schedule for resort guests only from 7:00AM until 8:00AM. Getting there as early as possible should be high on your priority list. Don’t forget to pack your patience because you’ll need it, especially if you’re driving your car and parking at the Transportation and Ticket Center. Lines for ferry boats and monorails can be long too. Over at EPCOT, the park with a ton of physical space, you can expect it to absorb guests without reaching capacity; however, most of the attractions will experience longer than you’d expect wait times for Christmas Day. Restaurants will not accept walk-ups, and the Candlelight Processional will pretty much be filled with dinner package guests (those who’ve made a package reservation get seating preference over walk-up show guests). If you are in the standby line there’s a decent chance you may have to wait until the next show to get a seat. Since EPCOT can absorb guests well it isn’t a bad park to visit on Christmas Day. Just don’t expect to do much if you haven’t planned ahead with ADRs (Advanced Dining Reservations) or arrived at the park entrance an hour before park opening. If you don’t you may find yourself shopping all day or eating snacks around World Showcase. Also, Holiday Illuminations has a lot of viewing areas, but keep in mind they tend to fill up fast around the World Showcase Lagoon. Get there early unless you want to be on your tip-toes for 15 minutes straight. This year EPCOT has evening Extra Magic Hours on the schedule so if you are a resort guest you’ll get to enjoy the park from 9:30PM until 12:30AM. If the movie scene is your game on Christmas Day a visit to Disney’s Hollywood Studios may be in order. Although it is the smallest park by far with the least amount of physical space it’s not a bad park to visit. I look at Hollywood Studios on Christmas Day as sort of the forgotten child. While guests are flocking to the Magic Kingdom or EPCOT to get into the Christmas Day spirit the Studios is less likely to hit crowd capacity. 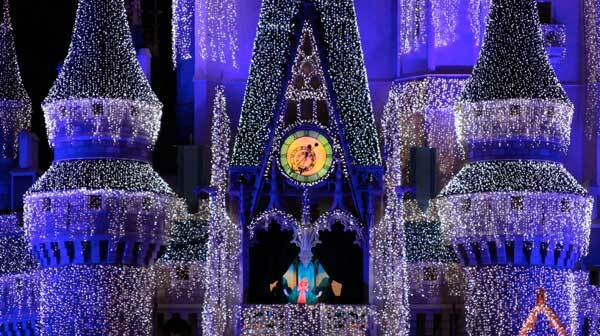 Guests will be distracted by the Magic Kingdom and EPCOT’s holiday flare and popularity. Although the Studios will be crowded it shouldn’t be outrageously crowded, especially early in the morning. I wouldn’t expect the Studios to close to capacity on Christmas Day; in fact, there’s a better chance it will close to capacity later in the week. 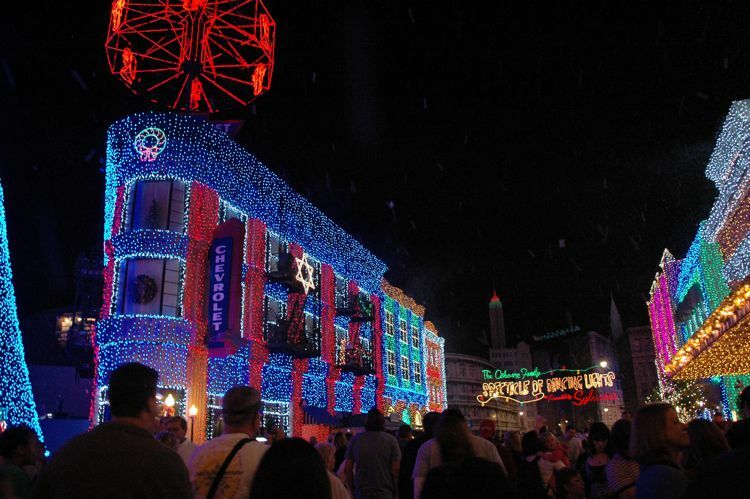 You can expect a quick crowd build-up towards the evening when the light switch is flipped for the Osborne Spectacle of Dancing Lights. Crowds for the lights spectacle will be outrageous and I’d avoid the show if you can. The Studios is a solid pick to visit on Christmas Day simply because of the number of shows and walk-through attractions you can experience. These attractions absorb huge crowds well. Again, you’ll need to plan accordingly with ADR’s, and if you want to get a ride on the park’s most popular attraction, Toy Story Midway Mania, you’ll want to arrive before park opening. This year the Studios opens at 8:00AM and closes at 10:00PM with no Extra Magic Hours for resort guests. Spending Christmas Day surrounded by nature, animals, and the Yeti sounds unusual. That’s because it is. If you’re looking for a different park experience on Christmas Day consider visiting the Disney’s Animal Kingdom. It is a large park that can hold crowds, although the Discovery Island pathways can get congested at times. If you’re looking for even more of a Christmas fix consider staying around for the Park’s main Christmas event, Mickey’s Jingle Jungle Parade. The parade steps off at 3:45PM and has a lot of great viewing locations so it can handle a big crowd. There are a couple other pluses if you are visiting the park on Christmas Day. There are some great Christmas decorations throughout the park. Make sure to take the time to walk through the different lands and enjoy viewing them. Secondly, the park will be open after the sun sets. The Animal Kingdom is a great night time park and provides unique lighting throughout. Since the park usually closes before sunset during most of the year being in the park after dark is a unique and unusual experience. This Christmas the Animal Kingdom has morning Extra Magic Hours for resort guests from 7:00 to 8:00AM. The park is open until 9:00PM giving guests the chance to stay and play all day long. Some of you out there may be thinking about switching parks in the afternoon to double-up on your Christmas Day theme park experience. Personally, I’ve tried this before and I can tell you it doesn’t work very well. Lines for transportation are typically off the charts. Wait times for motor coaches are longer than usual. Even getting to your car in the parking lot can take a while because lines for trams are long as well. Traffic around Disney property is usually heavy meaning getting to your destination is a challenge. It’s best to just pick your park, go to it, and expect to make a day of it right there. Trying to hop to another theme park may take you so long it’s not worth your Christmas Day time and effort. I always tell friends who ask me “How do I avoid crowds at Disney World?” to take a line from the popular 90’s sitcom ‘Seinfeld’. When visiting Disney World you have to think like you’re in the “Bizzaro World”. That means think the opposite of everyone else. To avoid crowds in restaurants you have to eat lunch at 11:00AM or 2:00PM, to ride the most popular attractions you have to arrive when the park opens and not wait until the afternoon, etc. You simply need to be on the opposite schedule as everyone else to avoid large crowds. A visit to the theme parks on Christmas Day has similar thinking and logic. Here’s my recommendation for the park to visit on Christmas Day. There’s no denying crowds will be heavy on Christmas Day, but you can minimize the impact by visiting the park with the least amount of traffic. If you can think the opposite way of most guests you should be able to get around and enjoy your day without too much waiting and frustration. If you are visiting Disney World on Christmas Day have a great time, and keep in mind how fortunate you are to be visiting a great holiday destination. From all of us at the DIS Unplugged we wish you and your family a Merry Christmas and a Happy New Year! 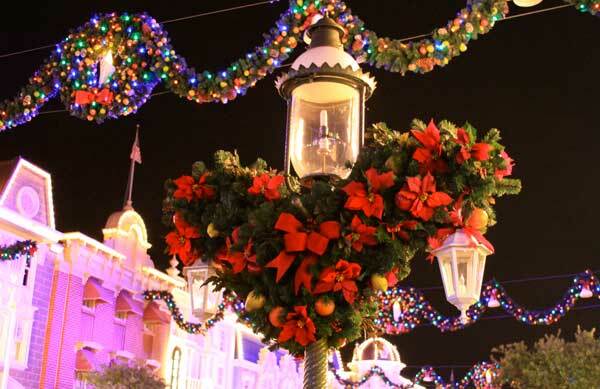 Do’s and Don’ts when visiting a Disney theme park during the holidays!